It seems engadget recently received some leaked photos of what seems to be Xbox prompts in the AT&T U-Verse technical support; and engadget also says “Our source claims the Xbox is presently being tested internally with friends and family of AT&T employees, and that it’s likely only a couple of months away at this point.” Of course I assume this will only be available to paid gold subscribers and also could have been a factor in the raised gold prices, but it will only be available to users with AT&T U-Verse in their home already. What do I say in response to this? Turn off your xbox and turn on the cable box/dish! Ok, maybe it doesn’t hail from Cybertron with a cool little emblem on it, but it’s still pretty cool. I’m guessing this was an issue? I don’t know, maybe it is more important then RRoD? Well either way I’ll definitely pick one up for my customary LED & pic 16F688 modding pleasures. The new controller will only be sold with the Play & Charge kit coming out this November 9th, for $64.99 and will include some other modifications such as different concave analog sticks and a new button color scheme of gray. Is this the new RROD? A few images have surfaced on the neogaf forums which could be the first occurrence of a RROD type error in the new slimline Xbox 360 consoles. The message reads “The Xbox 360 is shutting down to protect the console from insufficient ventilation.”, but based on the picture, it looks like this 360 has plenty of room to breath. While this is obviously a measure put into place to prevent a catastrophic failure, an error message like this could pose a major threat to game play continuity. E3 2010’s now officially behind us, and there was a ton to talk about. Between Nintendo announcing the 3DS, Sony showing off the Playstation Move, and Microsoft announcing the ’slimline’ XBox360, it was easy to overlook the actual games. Two have me very excited, though: One that was shown during Microsoft’s press conference, the other was actually released before E3, but its released was somewhat overshadowed by the big show. Child Of Eden: The ’sequel’ of sorts to the cult-classic Dreamcast (and now XBLA) title ‘Rez’, Child of Eden is a game that’s not so much about the challenge of boss battles or time trials, but a game about the experience. You ‘conduct’ the action on-screen, making amazing beats that are accompanied by beautiful HD visuals. It’ll work with Microsfot Kinect, Playstation Move, or a regular controller, so there’s no reason you should miss out on Tetsuya Mizuguchi’s upcoming masterpiece. Metal Gear Solid: Peace Walker: A full-fledged Metal Gear Solid, MGS: Peace Walker takes place several years after both Metal Gear Solid 3 and MGS: Portable Ops. In this installment, Big Boss is recruiting soldiers for Outer Heaven, which he considers a ‘paradise for soldiers’. Extremely lore-heavy, and remarkably well-directed for a handheld title, Peace Walker doesn’t disappoint, and any Metal Gear fan would be foolish to miss out. Many thanks to our friends GameTrailers and G4TV for the great video clips. What games caught your eye at this year’s E3? Let us know by stopping by our forums! 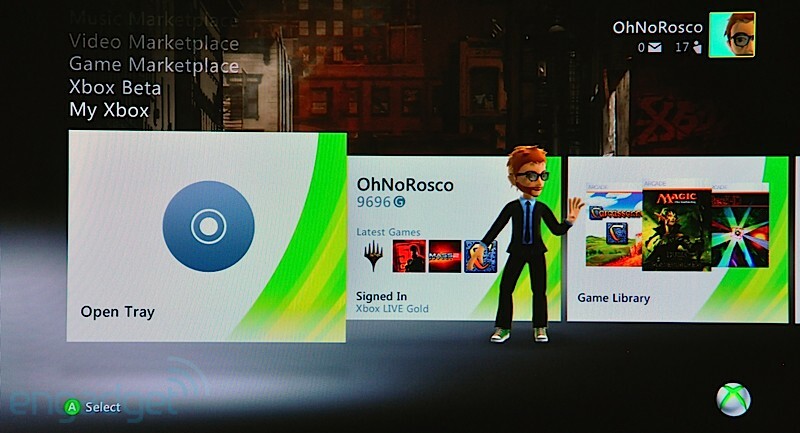 New Xbox Slim Shorty Not Able To Tell You if it Has Red Ring? Every Xbox owner dreads the sight. Those red rings scream heat, failure, and most importantly a month or so without your precious console. 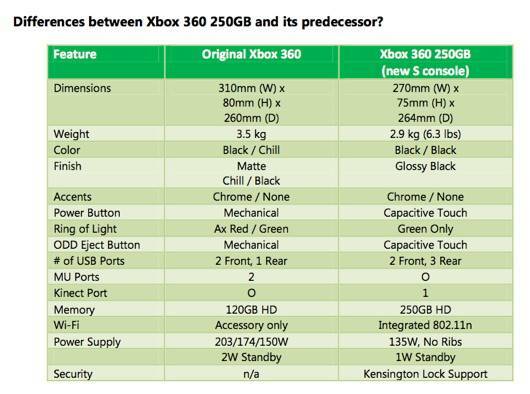 Through a leaked specification sheet provided to Joystiq, it is shown the power button on the new console is only capable of only showing green lights. Is Microsoft running out of red LED lights? Our guess is they are trying to leave the RROD image behind and move forward to an era where this dreaded image is moved away from there console, and users will focus on the failures of the PS3. 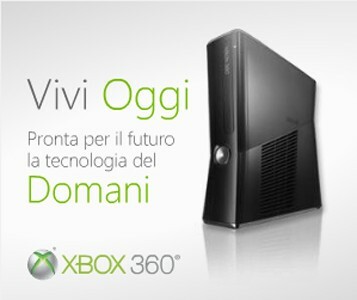 A possible Italian ad for the new Xbox 360 Slim was brought to our attention by crait. Not sure if it is real or not, but we will find out soon. t will deliver “the experience” that you’ve been craving to find.